Question: Do strawberries like humans and animals have DNA? Hypothesis: We think strawberries have DNA because it is a living thing. Do not drink or put isopropyl alcohol anywhere near your mouth. Special Needs: We need to be near a sink and a garbage can. Each material plays a part when you are extracting the strawberry DNA. The dish soap helps dissolve the cell membranes. The salt breaks up the protein chains that hold the nucleic acids together releasing the DNA strands. DNA is not soluble in isopropyl alcohol, and even less when it is cold. 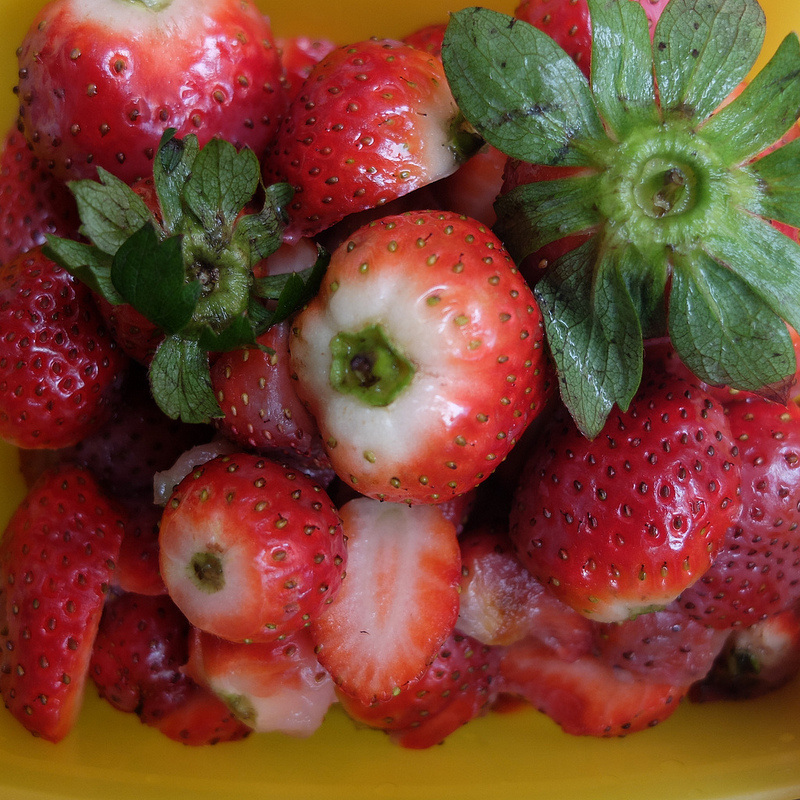 Strawberries are the best fruit to extract DNA from because they are octoploid, meaning they have eight copies of each DNA chromosome, which makes strawberry DNA easy to see. Humans only have two copies of each DNA chromosome. Samantha is 11 years old and loves having fun and spending time with her friends while she horseback rides on her horse FRITZ. She also loves spending time with her mom, dad, brother and her dog and horse. Gabriella is an 11 year old girl that loves taking tap, jazz, ballet, and modern. She also loves spending time with family and friends.